International relations have gotten pretty complicated these days. Everybody’s throwing around words like austerity and sanctions and texts from Hillary. Seems like people are forgetting something that could smooth things out: oceans of champagne. 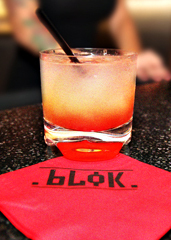 Give a warm welcome to Blok, a dark new Russian-themed club that’s got all the vodka with none of the Communism, hosting private events now and officially debuting to the public on Tuesday. Think of this like an illicit, extremely loud warehouse party in yesteryear-ish Moscow—but populated with a bunch of scantily clad TV actresses blowing off steam with Brent Bolthouse, the SBE crew (Greystone Manor), European producers and the occasional oligarch’s nephew. Yep, still Hollywood. Step inside and you’ll see swaths of red (appropriate) cutting through the darkness here—red lasers on the packed central dance floor, red candles on the tables anchoring the surrounding raised banquettes... and more dim red light illuminating the curves of some dancers clad in black lingerie. Call that the VIP red. In short: you’ll dance here. A lot. You’ll drink vodka here. A lot. 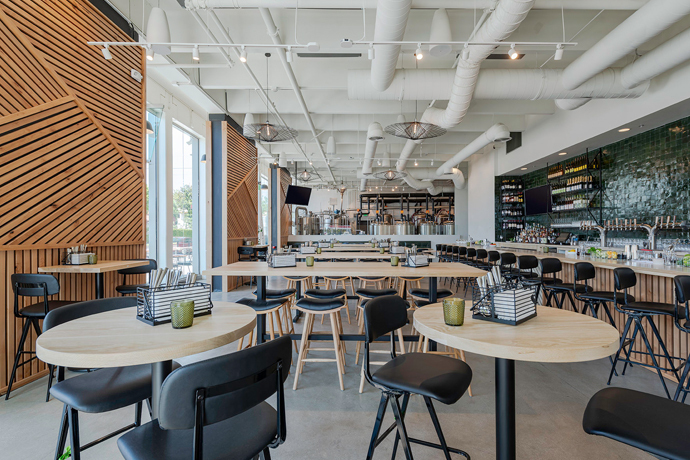 And when you need to step away from all that a lot—when you need, as they say, to get some air—claim your patch of bleacher-style seating out on the rowdy patio.